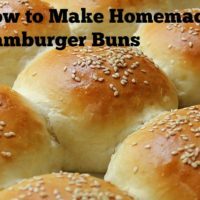 About a week ago, I was reading a blogpost over at Frugal Village on how to make your own homemade hamburger buns. At first I was like…yeah right…it’s so much cheaper to just go buy a pack of hamburger buns, but in my effort to do away with prepackaged food, I decided to try it. 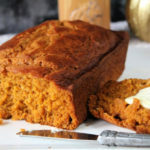 Can I just say that this recipe rocks? I mean it totally ROCKS! My hubby wasn’t for sure about these buns…that was until he walked in and saw what his supper looked like that night. You wanna see? Come closer…. They look pretty darn tasty don’t they??? I baked some porkchops that I got on sale at the butcher shop for $3.00 (I cooked like 8 chops). 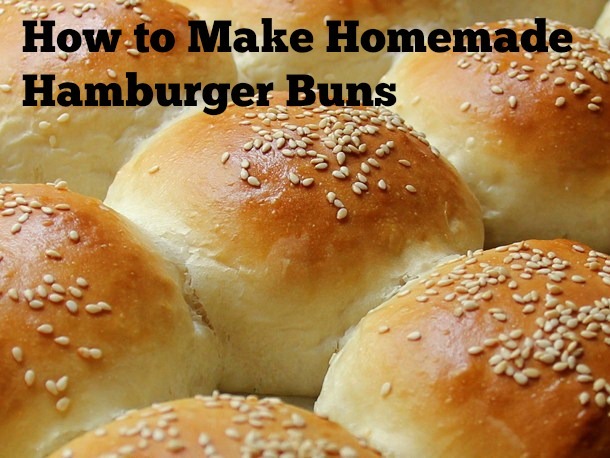 My buns cost me little to nothing to make because I already had everything on hand! Mix the first seven ingredients together. 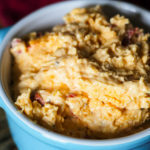 Knead dough for a few minutes and then put in a lightly greased bowl, cover with a towel and allow to rise for an hour. After about an hour, take dough and pull small pieces off and roll into a ball. Pat them out to about the size of a hamburger patty with them being about 1/2" thick. Place on an ungreased cooking sheet about 1" apart. Cover and let rise again for another hour. Brush rolls with melted butter. Sprinkle with Sesame seeds. Baked at 350 degrees for about 15 to 20 minutes until done. I brush them again with butter and place them under the broiler to get them a little browner. Slice them and enjoy them with hamburgers, chops, steaks, or whatever sandwich you want to make! Seriously — why would you ever buy store buns again? This is what makes a burger! 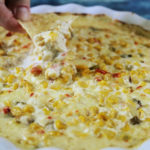 Serve these on my yummy Pimento Cheese burger (you can find that recipe by clicking the link).